Connected kitchens are now a thing of the past; according to Traeger’s latest 2019 lineup, Wi-Fi-powered outdoor grills are the new in thing. This past week Traeger Grills unveiled its 2019 lineup, and all the new models released — from the lowest grade to the highest, which starts at US$1,800 — come with built-in Wi-Fi technology, dubbed by the company as WiFire. From the Traeger app, you can select from hundreds of downloadable recipes that the grill can follow. Additionally, you’ll be provided with guidance “from prep to plate” and can monitor and adjust the temperature from your smartphone wherever you are. 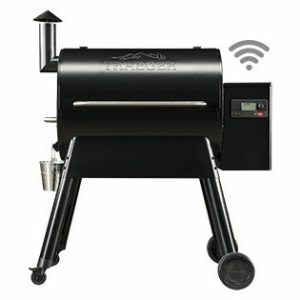 Though the company first integrated Wi-Fi into their Timberline Series grills back in 2017, the technology was limited to these models, which started at US$1,800. Traeger grills now come standard with Wi-Fi WiFire technology 0 out of 5 based on 0 ratings. 0 user reviews.